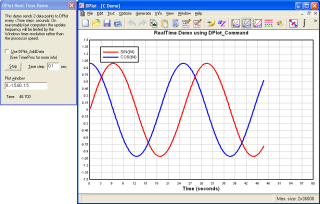 DPlot is a Windows program that lets software developers create presentation-quality graphs from a wide variety of data sources. Whether you're creating graphs for your application, developing images for your program's help file, or crafting graphs for your website, you'll benefit from DPlot's powerful graphing capabilities. If you want to quickly display your program output in graphical form, DPlot is the solution you're looking for. 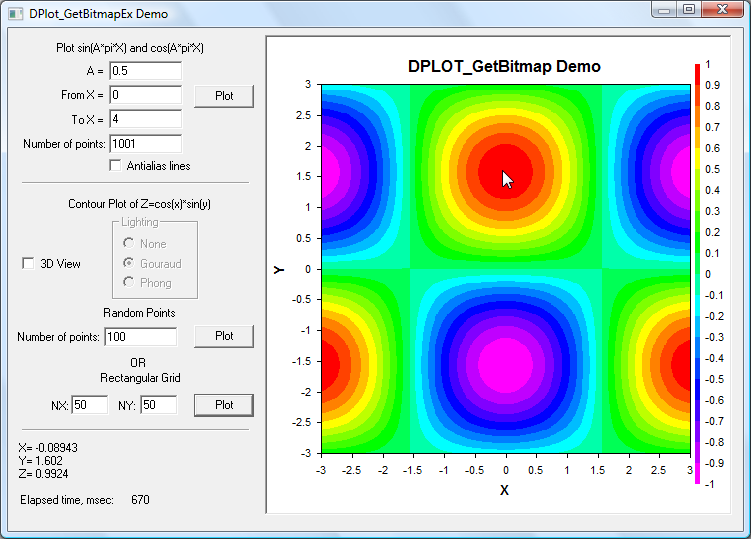 Output may be sent to either the full version of DPlot or to the free DPlot Jr via functions in DPLOTLIB.DLL. 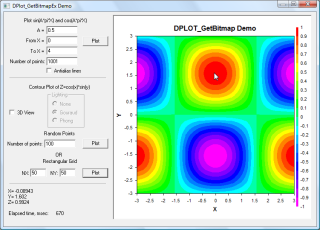 This DLL is free-of-charge and is included in the distribution of DPlot and DPlot Jr, and also as a separate download. 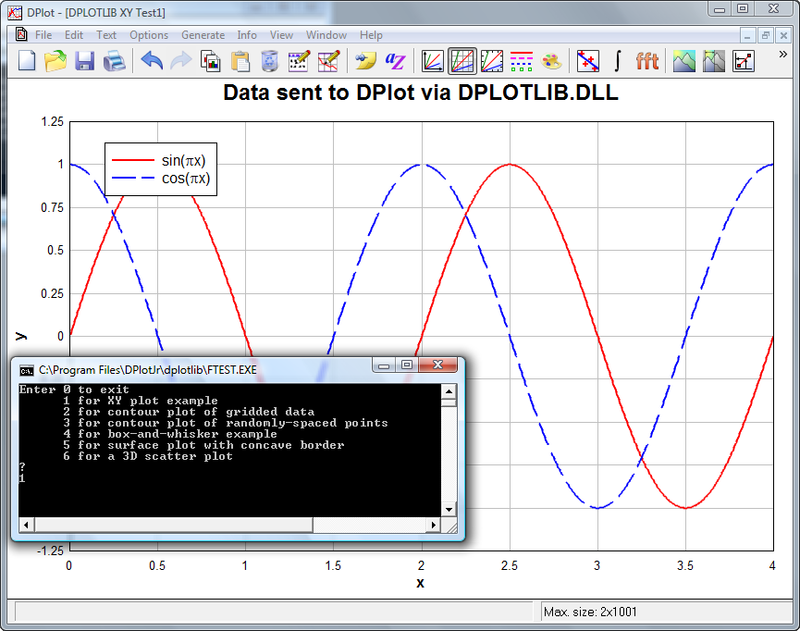 Documentation for DPLOTLIB functions is included in the distribution and also available online. Source examples for 32-bit Microsoft C, C#, Borland C++, LCC-WIN32, GNU C (gcc), Microsoft Visual Basic, Visual Basic .NET, PowerBasic, FreeBASIC, Absoft FORTRAN, Compaq Visual FORTRAN, GNU FORTRAN, Salford FORTRAN, WATCOM FORTRAN, and Delphi, and 64-bit C, C#, and VB.NET (all built with Visual Studio 2010) are included in the distribution. Programming examples are shown below. Any plot that can be created with DPlot as a standalone program may also be created programmatically via calls to DPLOTLIB functions. A decade ago, low-resolution graphs were sufficiently compelling for software users. Today's software users, however, are accustomed to seeing presentation-quality graphics in every medium, from fast-food boxes to local TV news. Software developers need more sophistication in the tools that they use to create graphs for their applications. 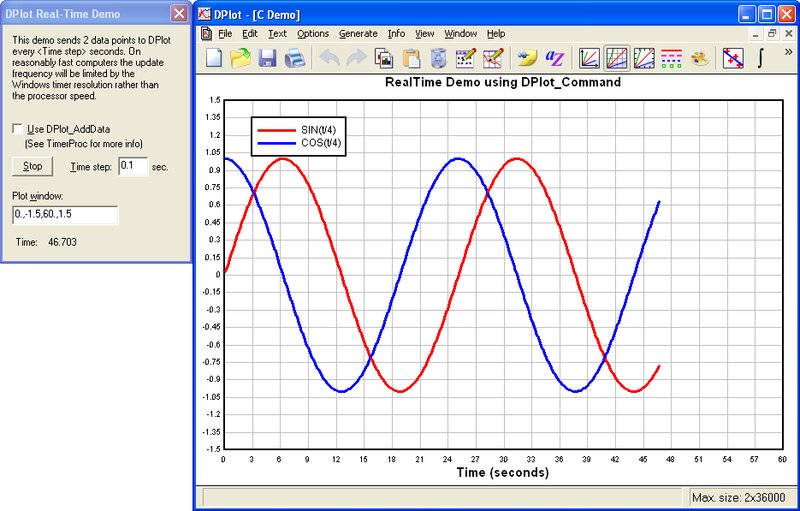 DPlot gives software publishers the highest quality, most accurate graphs that are available on the Windows PC today. And by using captivating graphics in your software application, help files, and website, you can keep customers and prospects interested in your work. DPlot turns prospects into customers. With DPlot, ISVs can utilize data files from a wide variety of sources, and turn them into graphs of all types. DPlot easily lays out the graphs the way software developers need them, and labels and annotates them. For added emphasis, it's easy to use photos or images as the background for your graphs. 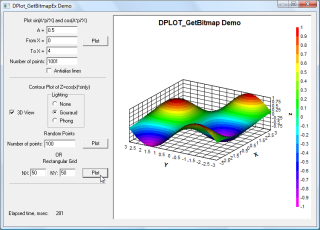 DPlot lets software developers graph and manipulate 1-, 2-, 3-, and 4-dimensional data. If you have a spreadsheet file or an ordinary comma-delimited file that contains statistics by year, or any groupings of figures, DPlot can grab the data, and lay it out for you in a huge variety of graphic representations. Likewise for the output of your own programs: it is a simple matter to turn your data arrays into a stunning graph with DPlot. It's simple to use the graphs in your application, help file, or on your website. DPlot's Excel add-in makes it simple for software publishers to move data in a variety of layouts from Microsoft Excel to DPlot. DPlot lets you display presentation-quality graphs in a number of graph types that are simply not available in Excel, including polar charts, triangle plots, Mercator projections, and grain size distributions. Some of your prospects and customers learn best by reading your documentation. Others can grasp technical data more quickly if they see it displayed graphically. 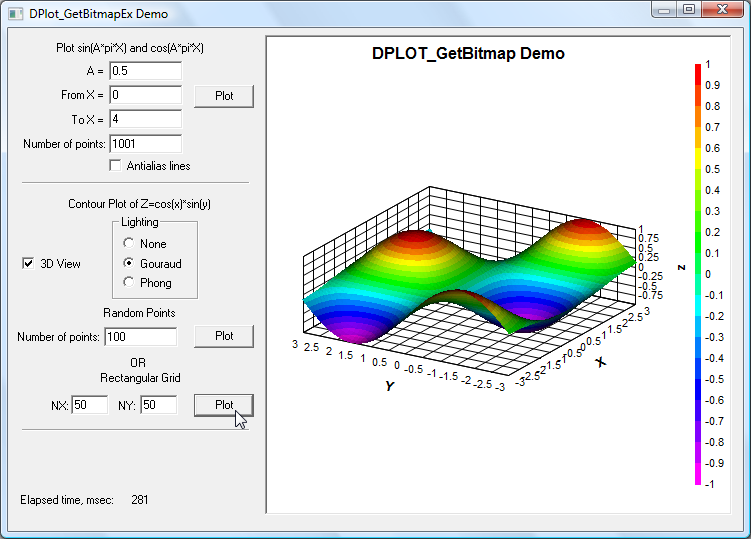 DPlot makes it easy for software developers to turn data into graphics, effortlessly. Sometimes developers need to create stunning contour plots of 3- and 4-dimensional data. Other times, a bare-bones chart can tell your story much more effectively than words. DPlot can meet all of your graphing needs. If you're creating business software, financial programs, scientific applications, or education software, DPlot can help you illustrate specific functions and formulas effectively. In addition to enhancing your software, help file, and web site, DPlot can enhance your proposals, journal articles, status reports, whitepapers, and project summaries. Prospects and customers are not software developers' only target audiences. Your work may be examined by stakeholders as diverse as government regulators, potential investors in your company, and journalists who can help you educate the public. Impress all of your stakeholders by delivering numerical information clearly, graphically. Whether you're preparing software documentation, writing the calendar-year budget for your manager, or illustrating a technical journal article, DPlot can help you create stronger visual images. A single-user DPlot license costs $195(US), and will improve all of your graphs and charts now, and for years to come. Bulk licenses for your end users are also available at a substantial discount. See the Buy DPlot page or contact us for licensing fees for a larger number of end users of your software. The examples below demonstrate a few of the capabilities of DPLOTLIB.DLL functions. A similar demo performs the equivalent function with metafiles rather than bitmaps (2D plots only). If you set the desired extents of the plot, DPlot will automatically pan the plot by some fraction of the plot width when the X value exceeds the right extent. That fraction may be set by your program.